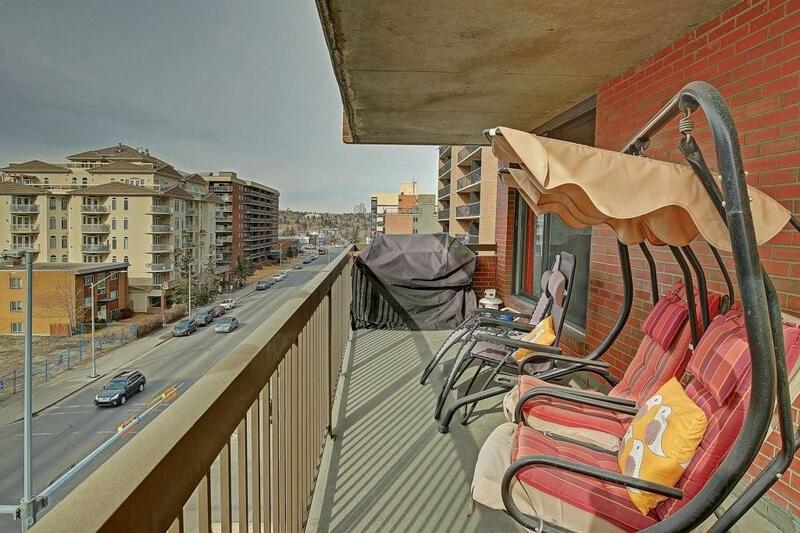 Welcome home to this very bright and open SW corner unit! 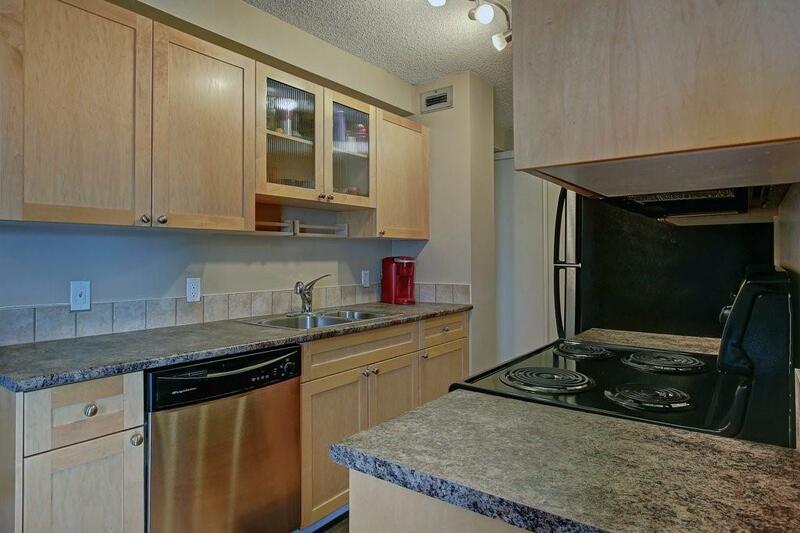 Lots of upgrades include: newer cabinets, stainless steel appliances, laminate flooring, lights, etc. Enjoy 2 bedrooms, updated full bath, in-suite laundry, storage, organizers in all closets, central vacuum, updated galley kitchen, open living & dining rooms & a huge SW balcony that is perfect for sipping wine in the sun with friends & family! 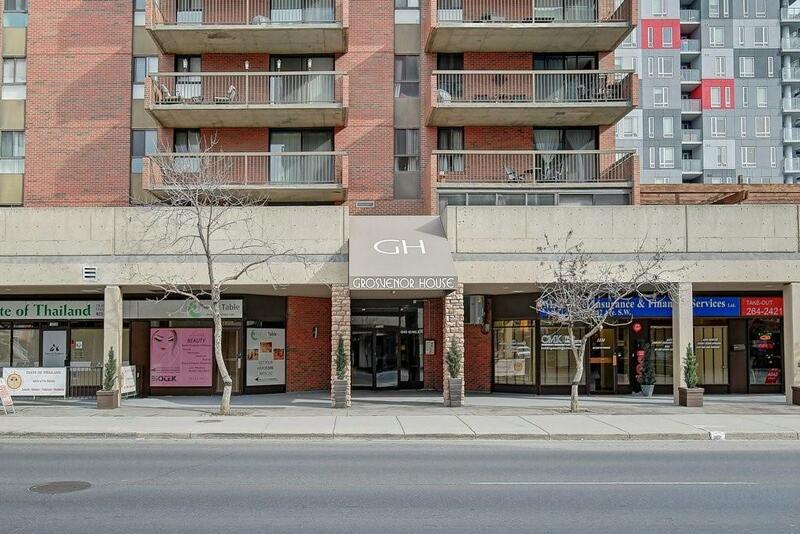 Conveniently located, youll be able to walk to work, the LRT, restaurants, coffee shops & night life. 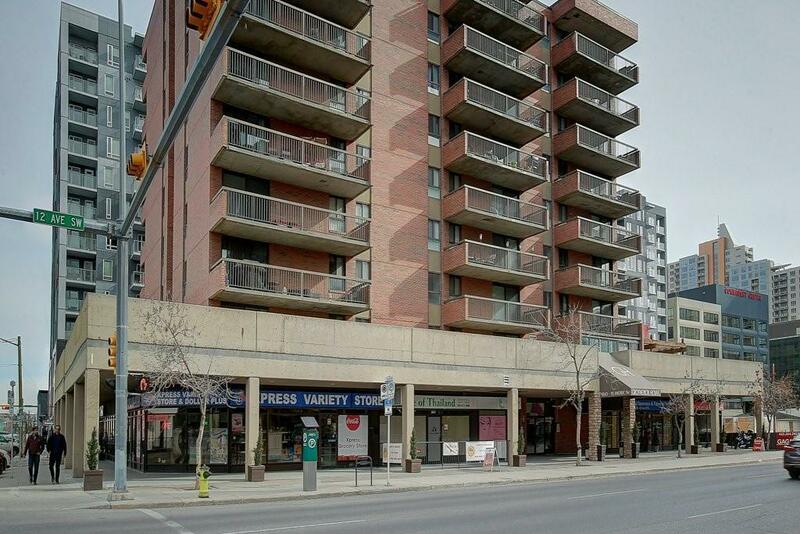 Add in a titled underground parking stall & a well run building & you have a great place to call home! !